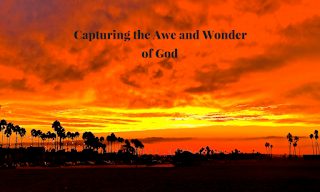 Contemplating the "Awe" of our Faith. That's "awesome". We have heard our young people, many of whom are not so young any longer, say this for several years now regarding any number of things that get their attention in a positive way. Nothing is wrong with that to be sure, but when is the last time we heard anyone say that our faith is awesome, that what God has done for us is awesome? Too many people come away from Mass or other religious services and say that it was "boring". Why is that? Some say that because of our culture people expect church to be entertaining. Others say that because of modern science and the widespread explanation of so many things that once seemed to have no explanation that religion is more and more dismissed as "mythical nonsense". There is some truth to both of these assertions and some remedies that might be suggested. I would like to follow another path, however, on the subject of awe, faith and religion. Today I came across and advertisement for a National Geographic six part series, beginning, I believe, this Sunday, April 3 at 9 Eastern, 8 Central, called The Story of God and featuring one of my favorite actors, Morgan Freeman. (Do check local listings to be sure of date/time). While Mr. Freeman played God in a rather frivolous movie called Bruce Almighty, and while he is not someone I turn to for my theology, this special looks to be an interesting and serious exploration of how people in different religions see God. 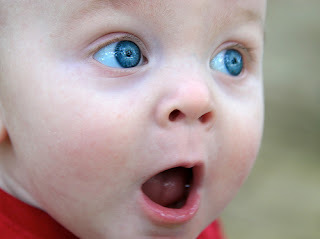 In an interview about the series Mr. Freeman made the statement, "Awe is the Beginning of God." While these words could be taken to mean that when humans first experienced awe they invented God, I don't think that is what he meant. 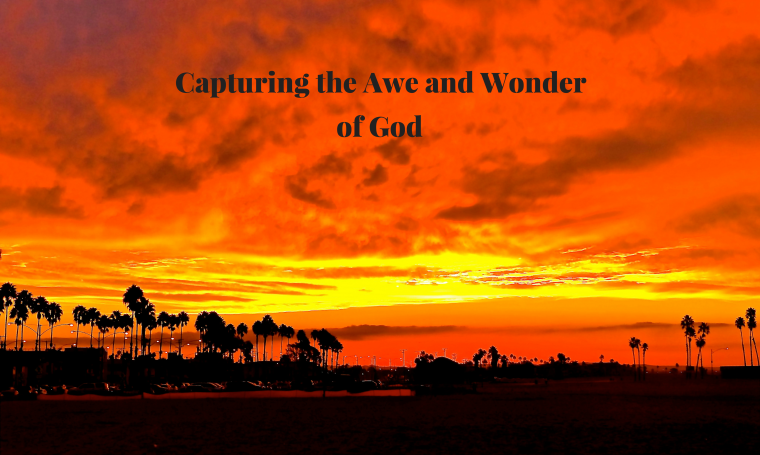 It was more the fact that when our early ancestors first experienced the awesomeness of the world around them, of the unexplainable, they came to realize that there is indeed God. For me viewing the images of the various parts of the universe that come from the Hubble telescope inspires awe, as does appreciating the beauty of the ocean, as does the birth of a child and so many other things. Perhaps one of the keys to evangelizing our young people then is to instill in them a sense of awe, wonder and mystery even before we teach religious doctrine. To simply stand in awe before some of these things and to ask how they came to be is the foundation of belief in a God who not only created everything, but who is at work now and continuing to create. 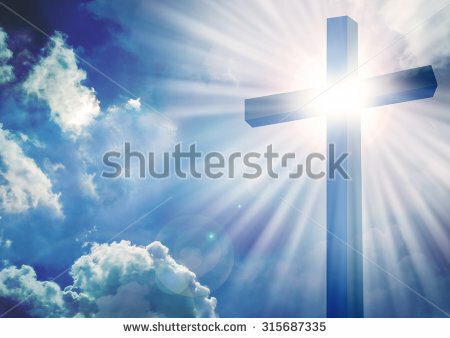 As for the specifics of our Catholic and Christian faith I point out in my book, Following Jesus in the Footsteps of Francis, that St. Francis marveled at the beauty of creation and and at the mightiness of the God who created, a God whom he saw as "Most High and Glorious" He then marvels at how this mighty God became one of us.in what I call his "big WOW." He was not a professional theologian but he was able to put together the notion that God is at the same time mighty and unexplainable as well as intimately close to us in the person of Jesus Christ. That is indeed awesome. Jesus told us that to enter the Kingdom we must become as little children. Perhaps what that means is that we must never lose the capacity to be awestruck that we see in little children. When we hear the word glory in reference to God images such as the ones posted hear come to mind. 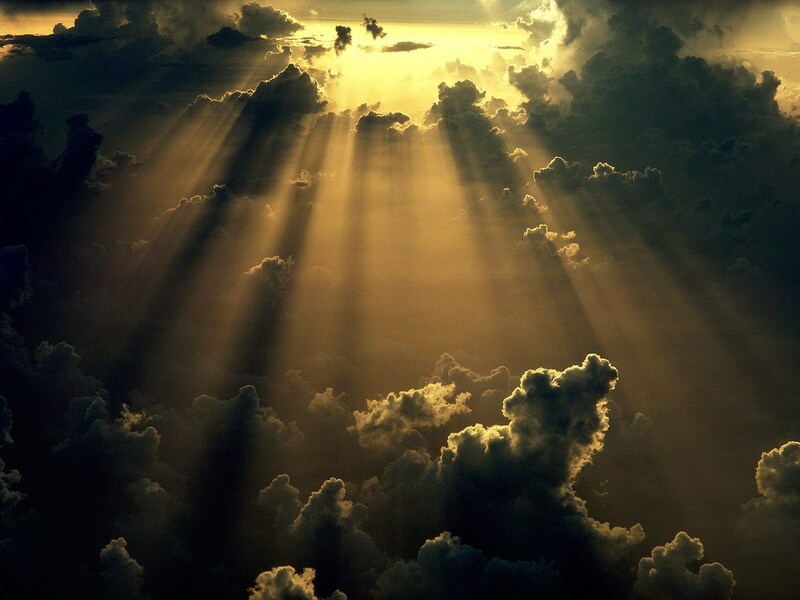 We think of radiant burst of light and spectacular manifestations in the heavens. This dimension of glory creeps into sports. We talk of the glory of those who win championships or who accomplish great individual feats. This is the most common way in which glory is spoken of. The Bible is filled with such manifestations of God's glory. The story of Moses on Mt. Sinai and that of Jesus in His Transfiguration come to mind here. St. John, in his gospel, turns the word glory on its head. As we move into the end of Lent and into Holy Week I believe that it would be good to reflect on this other dimension of Glory. The final section of the fourth Gospel is called the Book of Glory. 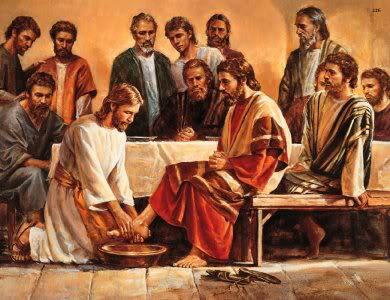 It begins with the washing of the feet of the apostles and continues through the account of Jesus' passion and death. We don't see a lot of the more common revelation of God's glory, rather we see that when God humbles God self in Jesus to enter into the basest and most sinful parts of the human condition it is then that God is glorified. We see this, as I said, in the washing of the feet, an event which Pope Benedict XVI called the Sacramentum of the Passion because it symbolizes the depths of love that we see in Jesus as He freely gives Himself over to death in the most cruel fashion. God is glorified in John not with mighty deeds of splendid power, but rather when Jesus delves into sin and evil and destroys it not with wrath and punishment, but with mercy and forgiveness. After the prologue at the beginning of this Gospel comes the Book of Signs. They are called signs and not miracles because they point to various aspects of the ministry of Jesus and to the lessons that we are to learn from them. Water is turned into wine not only showing compassion for the wedding party, but showing that in Jesus something new is being revealed. After this a Samaritan woman is set free from her sins, a blind man is cured, bread is multiplied for a hungry crowd, an adulterous woman is forgiven and finally Lazarus is called forth. All of these events have in common the manifestation of God's glory in Jesus who enters into the depths of sin, sickness hunger and death to wipe them away and offer people new life. This Sunday, as I continue my time in Little Rock and preach the mission in English I will be preaching on Lazarus for the Mass for the RCIA catechumens, and on the adulterous women at the other Mass. In both cases the glory of God is shown not from on high, but rather with the humble love of Jesus who stands with the sinner and who weeps for his friend before forgiving one and giving new life to the other. After calling Lazarus forth Jesus tells those gathered there to "untie him and set him free." It seems to me that he is calling us to open ourselves to Him to be forgiven, healed and restored to life. The Church then becomes the field hospital that Pope Francis desires it to be, untying each other and setting one another free. Walls, Bridges and Mercy--A Faith Perspective. 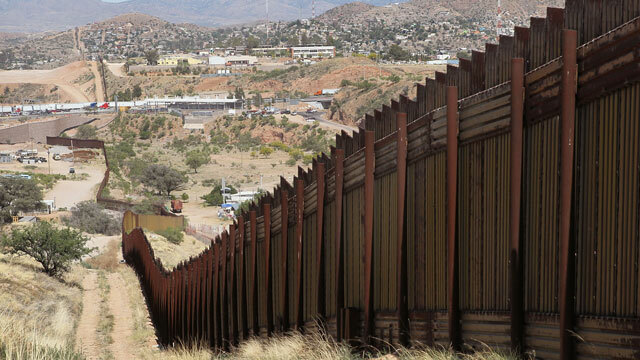 A little over a week ago there was a big bruhaha over Pope Francis' remarks at the US border. The Pope said,"A person who thinks only about building walls, wherever they may be, and not bridges, is not Christian." Of course he was specifically focusing on Donald Trump. Now that a little dust has settled I would like to take a deeper look at this message and the reaction to it. I don't believe, and Vatican response confirms this, that the words were meant to say that we should build a bridge and let everyone who wishes cross it without regard to border security. That would be crazy. What he was doing was calling us to a Gospel, a biblical attitude towards the issue of immigration. He was saying that we should first think of how to respond to the plight of people who are poor and oppressed who wish to migrate here, or to any country. How can we help them? How can we facilitate their transition to a better life? I also believe that while the remarks were focused on Donald Trump that every one of us ought examine our consciences on this matter. Republicans, rightfully so, take a lot of the heat from proponents of just immigration reform, but Obama and other Democrats are hypocritical, talking of reform while deporting many and breaking up families in detention centers. I am not naive. I understand that some who cross our borders are drug lords and human traffickers. Others may be terrorists. Any rational person knows that there has to be security and screening. 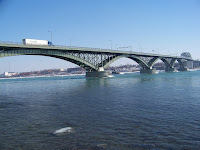 That is why the bridge I chose to picture above is the Peace Bridge connecting Buffalo, NY and Canada. 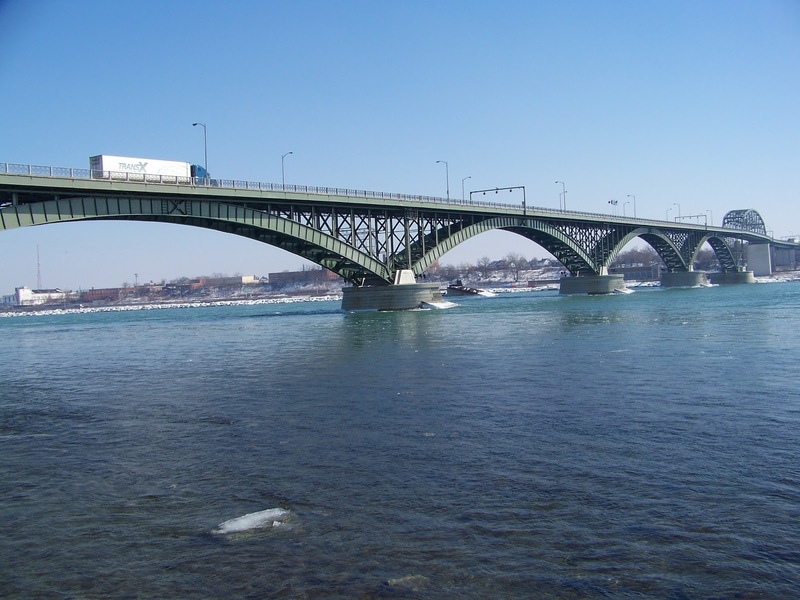 There is a US Customs station at one end and a Canadian one at the other.Bridges don't have to be wide open. Restrictions are necessary. The question is "Do we think of the bridge first, and the wall or restriction next.?" I am in Little Rock, Arkansas this week to preach a parish mission in Spanish. Next week I will do it in English. I am sure that many of the Spanish speaking are also undocumented. This is the case in most of the work I do with Spanish speaking. Most of them are good Catholic hard-working people. The only reason that they are not with legal status is that we don't grant enough visas for unskilled labor. They would rather live here under a cloud than live with the poverty and oppression back home. The Pope has called for a year of Mercy. Mercy, of course, is a Gospel value. It was not invented by Pope Francis. I do not favor a blanket path to citizenship, but I do favor a path to legal status prior to citizenship to the many who can show that they are living good and productive lives and have not committed crimes. I don't think that the crooks would come out of the shadows to apply for this. Let us use this Year of Mercy to be merciful to the immigrant by ending the insane impasse we are in now. And yes, let us establish a sane method of border security without responding to irrational fears and keeping everyone out.